One of the best parts of working in the event industry is meeting so many incredibly talented people. One of those people is Jenny Williamson of Jenny's Wedding Cakes. I have thoroughly enjoyed working with Jenny as well as partnering with her on many endeavors. You can reach Jenny on her website at www.jencakes.com or follow her on facebook. DM: We've had the pleasure of working with you on events in the past, and your desserts always look amazing! Can you give us a little history of you business? When/where did you learn how to bake/design? JENNY: I have been baking and cooking from an early age and always had a background in art. I started a catering business which led to making desserts for restaurants. A friend asked me to make her wedding cake which led to doing the research on wedding cakes. 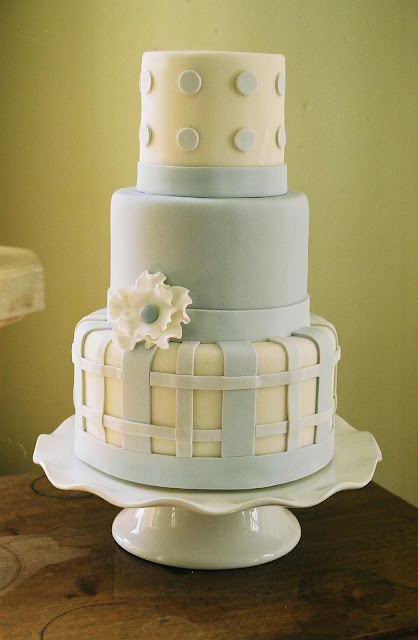 I instantly fell in love and quit everything else to focus on wedding cakes as well as the wedding industry. 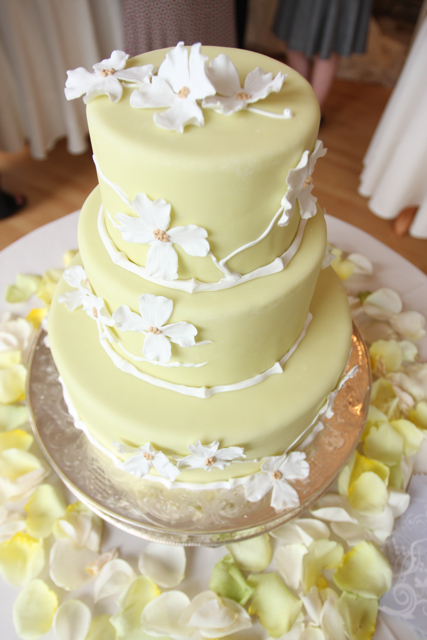 DM: When working with a bride and groom on their wedding cake what is the experience usually like? Who usually takes charge? Is there a lot of compromise on flavor and design? JENNY: I conduct private consultations in the library of my home (my commercial kitchen is attached to my home but separate). During the meeting I ask a lot of questions about the wedding and the couple to get a feel for their style and personality as well as what kind of atmosphere they are trying to achieve for the reception. From there I sketch a few ideas for them based on elements they'd like to incorporate. I really want to make every cake unique, adding as much of their personality into it as we can. We also do a tasting at that time of flavors I've selected to represent our whole menu, which is pretty extensive. So, basically they come to me, we sit down and chat about their wedding and eat cake, not too tough! DM: What is the most unique, amazing, or your favorite cake you've ever made (design and flavor)? JENNY: I tend to be drawn towards the more delicate and feminine styles so they are all pretty special to me. I love making sugar flowers so anything with our flowers are unique. We make a lot of figurines out of sugar, like the couple, or a special pet. We've done many amazing and dramatic cakes, like seven tiers separated with all sugar flowers and crystals but I still like our signature style the most. DM: Are there any new trends coming up for the 2011 wedding season in cake design? JENNY: I'm seeing lots of texture, mostly in white. 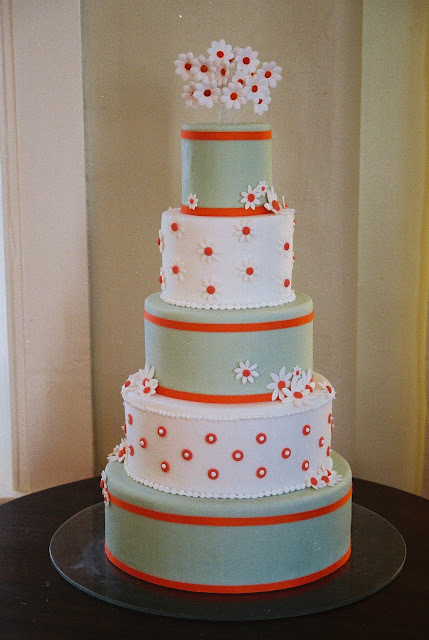 I am also seeing very large or tall cakes, more than usual and also lots of paisleys and ruffles. We do a lot of sugar flowers and more and more personalized figurines (hand made) so that is becoming more trendy. Natural elements are always popular as well metallics. Groom's cakes are also getting more and more popular. As far as flavors and such, red velvet is still a trend but we do a lot of tropical flavors such as our mango passion fruit cake as well as rich flavors like banana mocha toffee. We are getting a lot more requests for gluten free and vegan cakes. We offer all organic upon request and that market is growing as well. Thank you Jenny for your talent and exquisite work! My fiance and I are getting married in June and have selected Jenny to do our cake and cupcakes! We are extremely excited and cant hardly wait to see the turn out. I have seen her work a few times before (and tasted) I highly recommend her!! So happy to hear that and it already sounds so yummy with both cups and cupcakes. You're definitely in good hands with Jenny! wow, jenny is FABULOUS!! I've worked with her over a dozen times and it's always amazing. So stunning work for those cakes! I vote for the 3rd from the last cake, so pretty. I'm glad I saw this article. So talented of you Jenny! Keep up the good work and for inspiring more weddings!